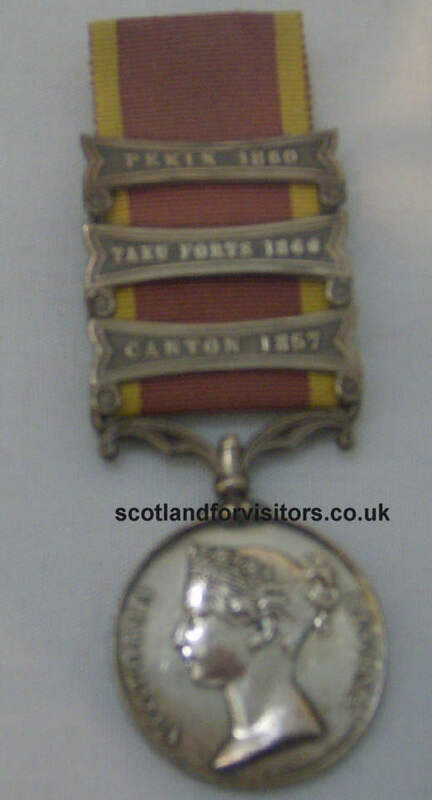 This is a picture of a China War 1856-1860 medal awarded for service in the second campaign. Sometimes referred to as the second opium wars this campaign was was a war of the United Kingdom of Great Britain and Ireland and the Second French Empire against the Qing Dynasty of China from 1856 to 1860. You can see these medals on display in the regimental museum based in Hamilton, Central Scotland. This is part of the collection of British Army medals which have been awarded to members of Scottish regiments. 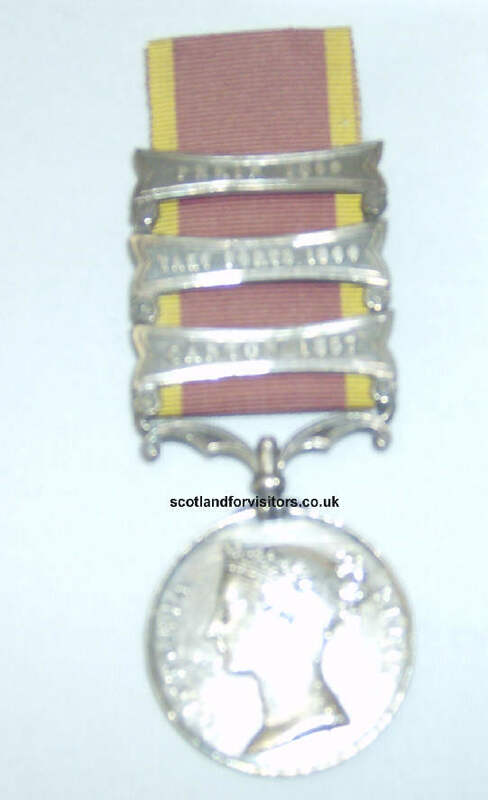 You can find other pictures of medals in the medals photographic section of this site.